Looking for Miami Beach costumes? 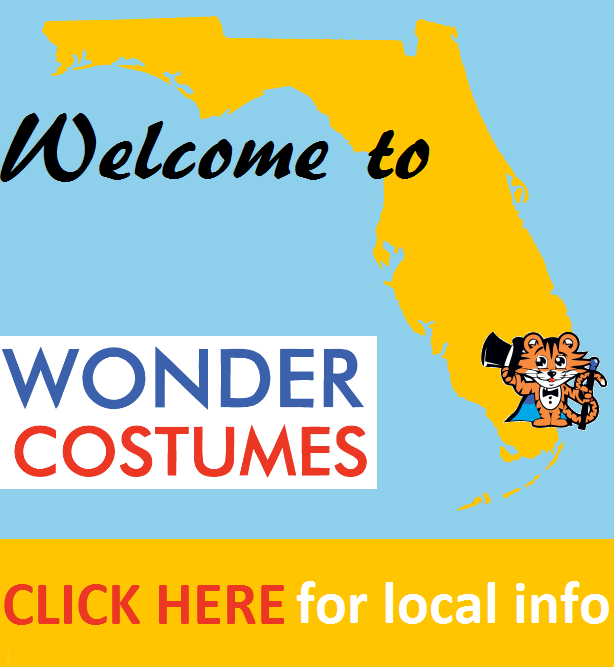 A fun ride down south leads you to Wonder Costumes, the most popular place to shop for costumes in all of South Florida serving Miami Beach since 2005. We have the most variety in the city with availability all year long for those unexpected costumes events while the Halloween industry is dormant. Our business model is service oriented to make sure that shopping for costumes with us is a total pleasure. Always speak with a human that will help you with your purchase from beginning to end. Wonder Costumes’ staff is fully educated on the costume industry so your inquiries will be addressed experts who are passionate about Halloween, theater wardrobe and cos-play, just as much as you are. A popular question we get is: “How—and why—does Wonder Costumes stay open all year?” This is one of our favorite questions to answer because it helps us explain what make us better than the competition. When you search for ‘Miami Beach costumes’ in the middle of January, for instance—or any other month, excluding September and October—you are likely to have a hard time finding a store in the area. Even in the colorful South Beach scene, costume stores tend to cater to the Halloween crowd one time of the year and they forget that there are whole other industries that want costumes thereafter. This is the answer to the question of ‘How’. 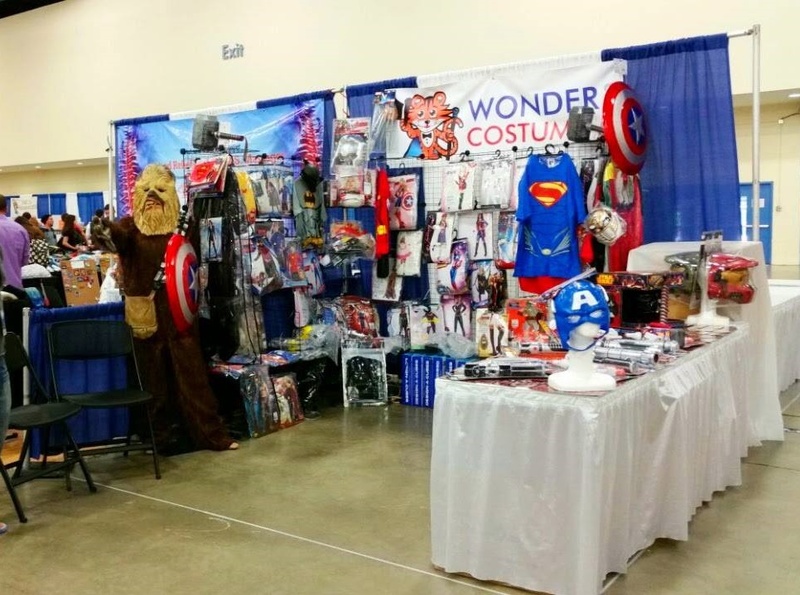 Wonder Costumes is here to help theatrical productions that need wardrobe for performances; school teachers, parents and students in search of costumes for holidays and school events; party planners and entertainers putting together costumed events; and individuals who happen to be attending themed parties or cos-play conventions outside of the season. Why do we do it? Because we LOVE IT! Costumes are our passion, and we have proven this with our commitment to serve the Miami Beach community. We are especially fond of South Beach because it is the home of some of the most important costume events throughout the year, like the South Florida Super-Con—which we love to take part of—and the Lincoln Road Zombie Walk. Not to mention, some of South Florida’s most iconic performing arts theaters and theme party night clubs exist in the area between Ocean Drive and Alton road; many of which we serve throughout the year. Being a two month season, Halloween makes for a chaotic industry with temporary major chain pop up shops appearing all over Miami Beach and general merchandise retailers suddenly offering mass produced Halloween costumes. The down side with that business model is that those stores are only concerned with cashing in on the season. They bring in limited supply of products that run out quickly and typically don’t restock fast enough to meet the demand. Besides that, that type of store does not specialize in costumes and masquerade products like Wonder Costumes. The benefit you will get when shopping with us, it that you will be able to get the best of both worlds. We have access to stock all of the popular, current costumes for the casual Halloween fan—namely children, parents, and party goers—but we also have availability of professional quality costumes and hard to find products for those who embrace Halloween for the thrill of the season. On many occasions, we are the only store that stocks such merchandise during Halloween. That is because we spend all year preparing for the most exciting season while the competition sleeps. Wonder Costumes is here for you. 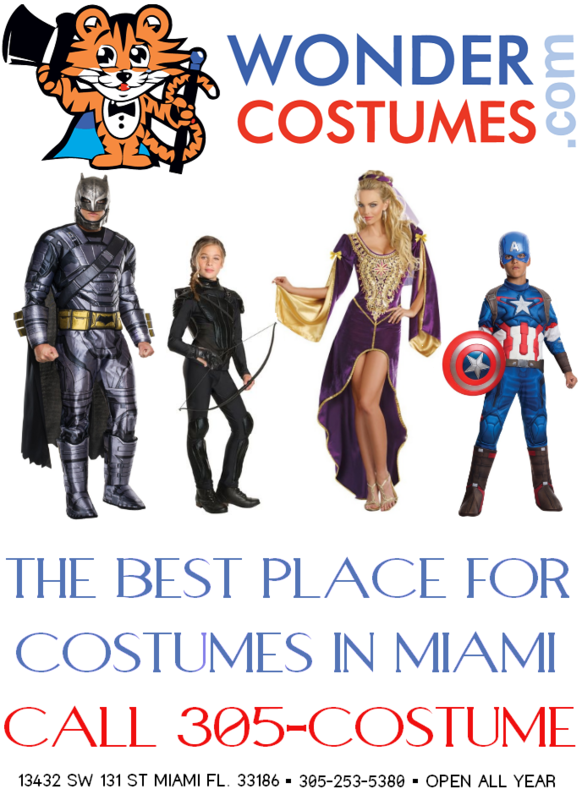 Wonder Costumes welcomes all customers from Miami Beach and the surrounding areas. You may shop online from any location and have the products promptly delivered to your door for convenience, or you may visit our Miami storefront. Don’t waste any more time searching for Miami Beach costumes locally. The best place for you to start your search is here. Call us at 305-253-5380 or click from the options below for more information.Wonder Costumes welcomes all customers from Miami Beach and the surrounding areas. You may shop online from any location and have the products promptly delivered to your door for convenience, or you may visit our Miami storefront.